Have you tried Kendra Scott’s nail polish line yet? 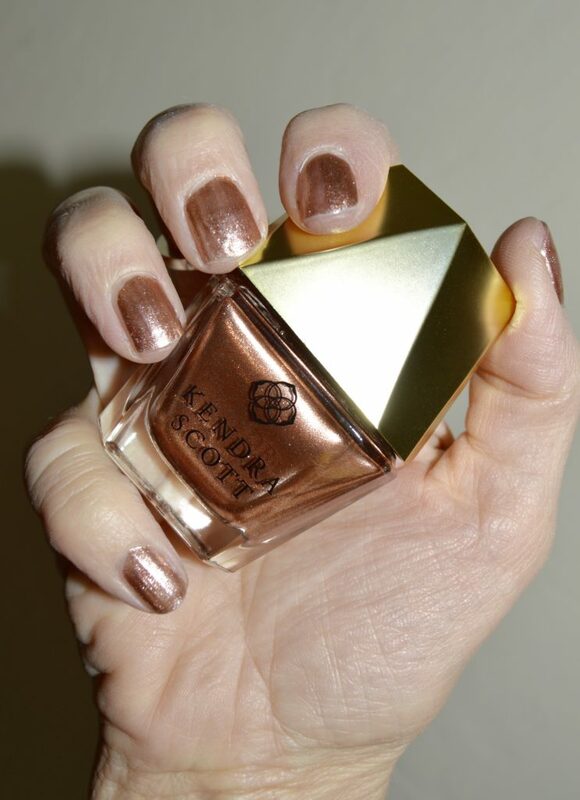 One of my goals for 2017 is to add more beauty and skincare reviews to the blog and I’ve really been wanting to try Kendra Scott’s Nail Gem Inspired Luxury Nail Lacquer, so here we go! I picked the pretty color Metallic Rose Gold. I love the light metallic shades in general because they tend to last longer and when they do start to chip, it doesn’t show as much. I’m so happy to say that the color is just gorgeous and the polish lasted three days with no chipping. And I didn’t even use a top coat. (I know, I know … I was in a hurry, meant to go back and add it and then forgot. I did use my go-to OPI Nail Envy for a base coat.) So, I’m sold and ready to try more colors. Kendra Scott’s nail line is “5-free” (non-toxic) and it’s never tested on animals. I also love that Kendra Scott created ways you can layer the polishes to create different effects. 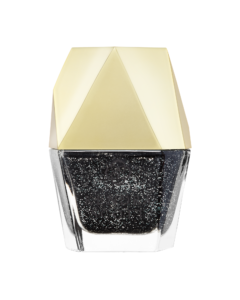 There are base coats and you can add shimmer, iridescent, or gold/silver leaf coats on top. I saw a demonstration in our local Kendra Scott store. Super pretty and fun! And here’s a quick iPhone snapshot of my buddy and fellow teacher wearing the Rose Gold Drusy! So sparkly and pretty! And oh yeah, the bottle looks super cute on my vanity too! Are you signed up for the Fashion Should Be Fun newsletter? Visible Monday! Shoe and Tell! Kreme de la Kremb #iwillwearwhatilike link up! Hello Monday! Mix It Monday! How I Summer! Creative Mondays! Let It Shine! The Wardrobe Stylist A Lovely A La Mode Link Up! Sincerely Jenna Marie! Turning Heads Tuesday! Confident Tuesday! Bloggers Who Inspired Me! Tuesday Fashion Party On Trend Tuesday! Reasons to Dress! Upbeat Soles! Style Perspectives! Trendy Wednesday! What I Wore! The Wednesday Pants! Tucker Up! Jersey Girl Texan Heart! Pumps and Pushups! Color and Grace! Throwback Thursday! Thursday Moda! Thursday Fashion Files! Labour of Fashion! Thursday Favorite Things! Thursday Moda! Top of the World Style! Fine Whatever! Welcome to the Weekend! Passion for Fashion! Fabulous Friday! Fab Favorites! Friday Favorites! A Forage Fashion! Link Party with Osy! Flashback Fashion Fridays! Weekend Wear Link Up! Sheela Writes! The Weekly Edit! Untamed Style! Edge of the Week! Nancy’s Fashion Style! I am looking for a new gellac! The color is very beautiful! I didn’t know she made nail polish!!! Such cute bottles. Love that you can layer them for different looks. Love it! 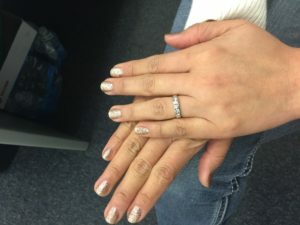 I was a nail blogger for three years before finally going for the styling. 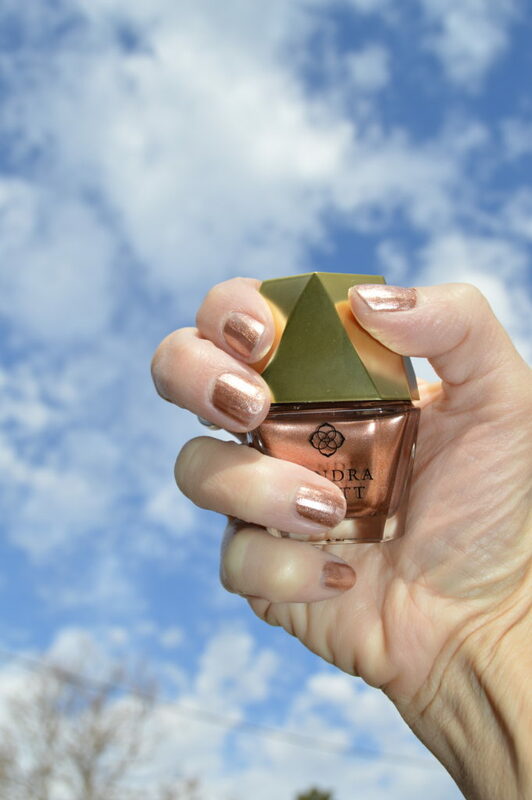 It is so nice to see other style bloggers play with the nail polish. I haven’t tried Kendra Scott. The Cool Iridescence Shimmer Coat looks very interesting.